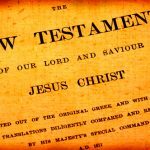 You must understand covenants in the Bible if you want to understand the Bible. Although God himself never changes (Hebrews 6:17; Hebrews 13:8) he does change the way he deals with man. God does not deal with us today the same as he dealt with Adam and Eve. He did not deal with the Israelites the same as he dealt with Adam and Eve. Understanding these differences will help better appreciate the glory of Jesus Christ and his perfect law while becoming better students of the Bible. For our purposes we are only interested in covenants between God and man. These are a special kind of covenant called a “suzerain” treaty or covenant. Arnold and Beyer describe a suzerain treaty as a political covenant between unequal partners.” ((Bill T. Arnold & Bryan E. Beyer, Encountering the Old Testament, Baker Books, 1999, pg 149)) In the case of Jehovah there is no political aspect but nonetheless it is an agreement between unequals. As such, there was, and is, no negotiating to be done. God simply pronounced the covenant along with blessings and punishments. The people were free to comply to rebel. Although their are many covenants between God and individuals in the Bible ((1 Kings 3:10-14; 1 Kings 6:12-13)) there are only three major covenants under which God has bound himself. Each is similar but there are striking differences too. For example, in all covenants God is always supreme and is always sovereign. In all covenants man is to obey God and serve him. In all covenants man enjoys blessings for obedience and consequences of punishment for disobedience. Man is never left to himself or allowed to craft his own response to God (Judges 21:25; Acts 4:19). Man has never been left to himself. God has always directed him. The Patriarchal period begins at the beginning of time and continues to the Cross of Christ. It and the Mosaic share some of the same time period but are quite distinct. This period is marked by a more direct approach by God to his people. For example, we have God speaking directly to Adam and Eve in Eden (Genesis 3:9-19), to Cain (Genesis 4:6-15), to Noah (Genesis 7:1 ff), and to Job (Job 38:1 ff). Although the father of the Jews, Abraham lived and died under the Patriarchal system. We also see God calling entire nations back to Him through prophets even though those nations are not Jewish (Jonah 1:2; Nahum 1:1; Daniel 4:28 ff). Until Sinai (Exodus 20) all people were under this kind of guidance or direction from God. At Sinai God would finish separating out the Hebrews into his chosen people and would give them their own laws or covenant. Except for the Jews, the Patriarchal age continued until Christ died at Calvary. This period sees a very direct interaction between individuals and God. God dealt with the heads of the families who were instructed in issues of righteousness. Beginning in Genesis 12, God began to speak of a special group of people. This nation would be even more special to him than the others. He would actually create this nation from the offspring of Abraham (Genesis 12:2). These people were chosen by God even before they were born and even before they were more than a small family. They were chosen out of the sovereign will of God. It would take almost 500 years for these people to actually grow into a nation and occupy their own land but it was coming. God rescued his people from Egypt and brought them into the wilderness where he would give them a law. Every nation must have law and God’s people were no different. So at Sinai he gave them their own unique law. We usually call it the Law of Moses but Moses was only the man to whom the law was given. It was created by God. 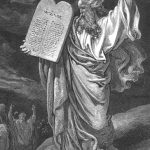 Included in the Law of Moses are the 10 Commandments. These commands form the basis for what will follow in the larger codex of law. Exodus 20:2 makes it clear that when this law was given it was given to a certain group of people. Specifically it was given to those God brought “out of the land of Egypt, out of the house of slavery.” Although the Children of Israel ((Children of Israel, Hebrews and Jews are all terms for the same group.)) were under the law of Moses no other nation was subject to it. That is not to say other nations were under no law at all, just that they were not under the law given at Sinai. This period runs from Sinai concurrently with the Patriarchal period until the cross of Christ. It applied only to the Jews. God deals with his chosen people first through Moses, then the Law of Moses and then through the Levitical priests and the national judges and kings. Everything changed at Calvary. When Jesus died, was buried, raised and established his church, all men were now under his law. There was no longer a need for the sacrifices of the Temple. Indeed the Most Holy Place was thrust into view when the veil was torn from top to bottom (Matthew 27:51; Mark 15:38). Suddenly the Levitical (Mosaic) priesthood was obsolete for a new Priest, Jesus Christ, had been installed in Heaven itself (Hebrews 4:14 ff). Now He alone was the mediator between God and man (1 Timothy 2:5). 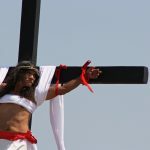 The old law of ordinances was “nailed to the cross” and no more applied unto any person (Colossians 2:14; Ephesians 2:15; 2 Corinthians 3:1-11). The priesthood of Moses could never take away sin fully, only could it set aside the sins until the coming of Jesus (Hebrews 8). Now all may be saved through Jesus. His blood covers all from the beginning of time into the future. Today, we no longer live under Moses’ law. We do not do the things done under that period or dispensation. We honor the Old Testament and learn from its true stories and examples but we worship as the Christians did in the 1st Century (Galatians 3:24;-25 ). This is the reason we do not reach into the Old Testament for authority in worship. Animal sacrifices were an integral part of the Old Testament but have no place in the New. Mechanical Instruments of music were important in the Temple but not in the church. Worship is no longer on the Sabbath but on the “Lord’s Day” (Revelation 1:10) which is the first day of the week, Sunday. Properly understanding the various covenants will aide us in serving God as he intends in the present age. I just subscribed today. Great site. I have a question I would like to hear your view on: When did the patriarchal age end for the Gentiles, Acts 2 or Acts 10? Hi John, Good question. I have never really consider the question in those terms. I have a quick response but think I will wait and think on it a bit more. I will post an article soon on that question. Thanks for asking and check back soon. Previous post: Kevin Elko and Touchdown!